You will need a script to host the scriptdb that contains your public data. 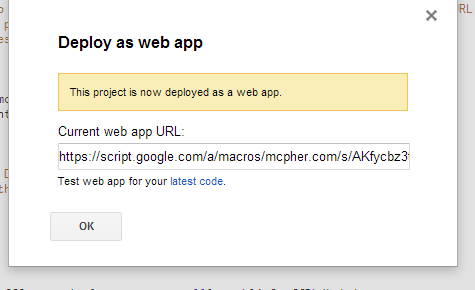 In the step by step guide, Delegation to Google Apps Script, you should have created a script, pubstuff and added the mcpher library. Here's the code you need, you can just paste this in unchanged. publicStuffDb is the function that will provide access to your public scriptdb, and will be used by other scripts. doGet(e) will expect the optional parameter ?entry=[name]. 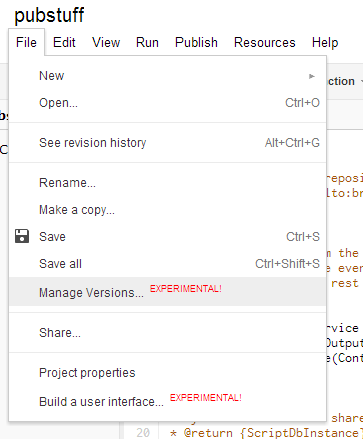 If no name is specified then the entire shared scriptDB will be shown. First authorize doGet() by running it. You'll get this message. You only have to do this once. Now we can publish this as a web application. Copy the URL to a browser. You should get the same result as you did while testing. You are going to need the project properties of the script you have just created so you can include it as a library in other scripts that need to access this scriptdb. 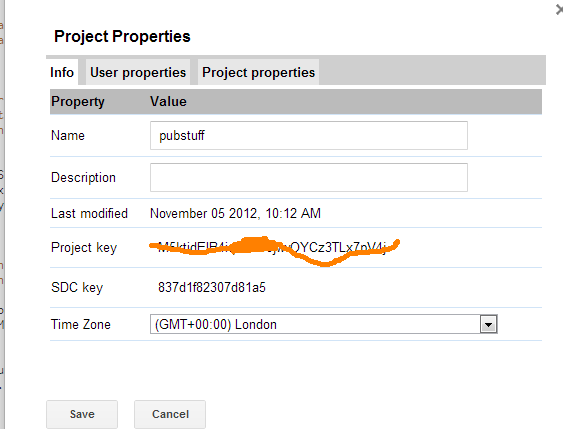 Take note of your own key from the project properties. Here's mine below. For help and more information join our forum,follow the blog or follow me on twitter . 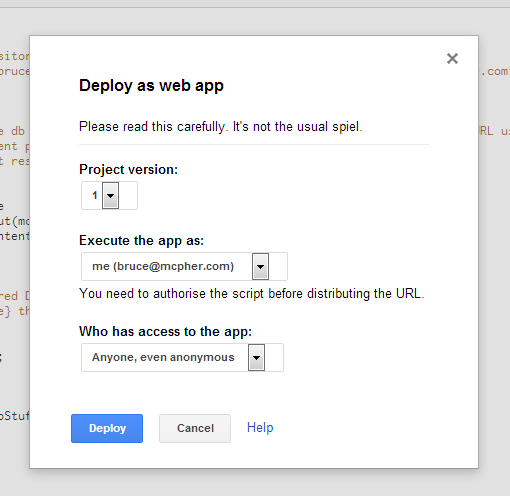 Now take a look at the next step in step by step guide to delegating to Google Apps Script.